Syracuse University Libraries are committed to providing all SU students, faculty and staff access to the resources and services they require. Read more about open publishing services and the publication, access, copyright, and preservation of scholarly, creative, and research outputs. We offer broad services related to education and instruction, identification, collection, publication, reference on open-access works. To inquire, contact surface@syr.edu. Many Syracuse University faculty and researchers work with grants from US Federal government agencies. The NIH, NSF, and others have federal mandates that require publications written under this research funding to be public access, a form of open-access to taxpayer-funded research. 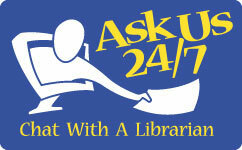 Open Publishing Services are available for questions and consults on public access mandates. Open Publishing Services collaborates with the Syracuse University Office of Sponsored Programs and the Libraries’ Research Data Services in these efforts. To inquire, please contact datasvcs@syr.edu. Many Syracuse University affiliates are authors and regularly make decisions about scholarly work and publication. Open Publishing Services is here to answer your questions on copyright, and publication workflows, quality assessment of open-access publishers, author addenda and other considerations you may have when publishing. Our services cover assistance prior to and after publication, and we work with publishers, researchers, and authors in support of open-access. To inquire, please contact cipa@syr.edu. SURFACE, the University’s open-access Repository, is a key service for sharing and preserving your work. Operated by the Libraries, it enhances access to Syracuse University’s scholarship on a global scale and increases its impact. SURFACE includes scholarly journal articles, books, dissertations, theses, conference proceedings, and more. To inquire, please contact surface@syr.edu.